Rediff.com » Business » Welcome to the world of brands! Welcome to the world of brands! Advertising gurus believe that the greatest challenge facing advertisers and marketers will be keeping pace with the rapidly changing consumers and their fast-changing preferences. "The Indian consumer, today, is in a hurry; he is finicky and constantly looking to upgrade his life with new choices," says Lowe Lintas India deputy CEO Joseph George. In this new landscape, George believes no brand will have the security of a loyal consumer base. As consumers constantly look for newer choices and wider options, it will be a major challenge for marketers to be tuned to their needs. Therefore, marketers will have to go on reinventing themselves. In a lighter vein, George says as we move forward, demographic segmentations will get intensely blurred. George reasons, "Moving ahead, marketers will have to focus on psychographic segmentation. "As economies and countries evolve, especially in democracies, there will be people with a lot of differing attitudes co-existing." The number of attitudinal segments within the same demographic will be different, and hence marketers need to study the consumer more carefully, as traditional methods of grouping customers will call for a re-look. Leo Burnett National Creative Director KV Sridhar attributes the changing landscape to the dominant young population of India. He explains, "A 40-year old will take 10 years to change, whereas a young consumer will change overnight." Youngsters are well-informed and they have the power to influence purchase decisions in a household, making them an important target for marketers. McCann Worldwide CEO Prasoon Joshi agrees that the spill-over effect of this will be on other demographic segments. "The older 28-40 age group is feeling the pressure to stay young, people are defying age and trying to live it up to stay in." So, what is leading to dissolution of marketers' traditional market segregation buckets? Sridhar believes one of the key contributors is rising consumer awareness. He says, "the unstoppable penetration of mobile phones, DTH and cable has changed the way semi-urban and rural people see the world and this will definitely have a major bearing on the way they consume." As Indian consumers become more discerning than in the past, marketers will feel the pressure to offer products with quality and value. Both Joshi and Sridhar believe that to understand customers better, marketers will need to make them co-creators in product development. Brands will have to increasingly rise to the challenge of creating tailor-made products for consumers. Giving an example in support of this proposition, Sridhar says, "if you go on You Tube, and type Pulsar for example, the first 100 hits are not commercials but consumer created videos." Experts say that the emergence of social networking platform in the digital space will be a key challenge for advertisers and marketers. Dentsu India executive vice chairman and National Creative Director, Gullu Sen says, "the growth in sites like Facebook and Twitter has made consumer feedback instantaneous, giving them more control over a brand's campaign." For instance, even before a TVC goes on air, there are comments in cyberspace on the likes and dislikes of the campaign. "Advertisers will have to consider the digital platform more seriously and consider it a part of their research exercise," adds Sen.
unlike in the past, will have to carefully study the presence of consumer voice a.k.a. feedback by new generation. Sridhar agrees. "Youngsters today have multiple accounts on sites like Facebook and Twitter, and each account delves into a different part of their life." Sen also believes marketers must understand the world of data more carefully, as consumers spend a considerable part of their day consuming data through emerging mediums like mobile phones, Internet and social networking sites. Nonetheless, Joshi avers that brands have to contend with the notion that there is no single platform that will rule. Mass marketing will continue parallel with new age media. "In India the marketing mix is far more complex, and hence the digital platform will continue to be niche, though find reflection in mass media," says Joshi. He adds: "For example, a leading newspaper carries 'tweet of the day' for its readers who might not be as tech savvy. These users may not have used Twitter, yet they are exposed to a tweet every day. Digital will come to the fore for a section of consumers, but the space will be in a state of constant flux and marketers have to learn to operate in this environment." While advertising experts agree that investments in digital will increase, they are confident that unlike in the West where money is disproportionately allocated to digital, in India all mediums will co-exist. As George of Lowe Lintas explains, "In India, digital space is growing annually by 30 per cent, but television (mainline) too is growing in excess of 20 per cent. While a lot of conversations are happening on the digital platform, clients are not translating these conversations into money being spent." Sridhar foresees the next ten years will be huge for television since it has an excellent reach, unlike the digital platform. "In India, only about 60 million people are connected to the Internet, of which 40-50 million are online through work. This leaves roughly 10-20 million people who are connected everywhere else, which is a very small part of the country's population. Also, the infrastructure to get connected to the digital platform is not in place." "Whether the television content reaches through satellite, Internet, community screens in villages or mobile phones, audio-visual content will not be replaced as in the West," underlines Sridhar. Joshi also thinks that event marketing will gain in prominence in rural markets. "We are a country of spectacles, where tamashas on the street are part of our culture. In the future, companies will translate this to more efficient ways of event marketing," says Joshi. 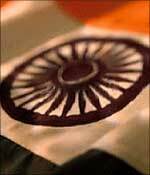 "India is a country of contradictions and different strata of society will continue to co-exist for years. This is largely due to the economic differences, and prevalence of caste system and imbalance of wealth and education in our country," adds Sridhar. With media getting increasingly fragmented, and newer consumer touch points evolving, the importance of brand building cannot be overstated -- either at the rational or emotional level.